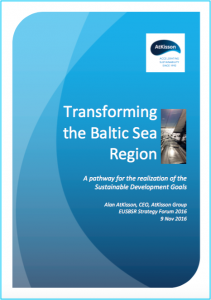 Alan AtKisson’s opening keynote from Day 2 at the EUSBSR Strategy Forum 2016 (9 Nov 2016 in Stockholm) has been made available in document form, as an Executive Briefing. Please click the button or click the image to download the Executive Briefing version of the presentation in PDF format. 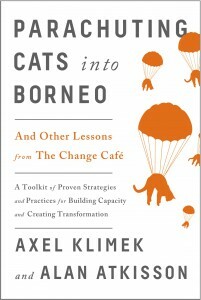 You may also be interested in the new book by Alan AtKisson and Axel Klimek on strategies and tools for leading change: Parachuting Cats into Borneo. Click the image for more information. If you would like to sign up for our free periodic newsletter on sustainable development and transformative change, WaveFront, please click the button below.